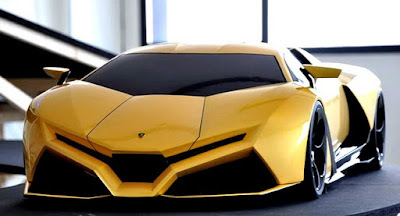 Do you know if in the year 2010, there is a unique design concept of the family of Lamborghini supercar designed by a Russian student named Victor Filipchenko? This is the Lamborghini Cnossus, its name derived from the ancient Greek city of Knossos on the island of Crete. The name sounds very different when compared with the names of the Lamborghini generation in general that always smelled with the term of bull fighting. It looks like it is not an important point that wants to be focused by Filipchenko as a designer. He clearly has its own dreams when forming this Lamborghini Cnossus project, with the help of his Portuguese colleague Nelson Simoes as part of their final thesis project at Italy's Scuola Politecnica di Design. 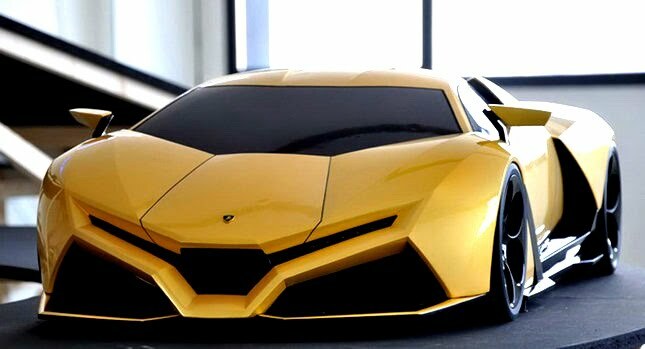 As quoted of Carscoops, the designer admitted that he was inspired by the Lamborghini Countach and thought for plugging his dream concept entirely into the Lamborghini Reventon were phenomenal. Later was born the Lamborghini Cnossus concept albeit in miniature.